IBSA Manufacturing attended an Australian Fashion Council (AFC) event chaired by their CEO, Dave Giles-Kaye. The newly formed AFC, is the result of the 2018 merging of the former Council of Textile & Fashion, and the Australian Fashion Chamber. The event was part of a multi-state roadshow to outline the AFC’s ‘Industry Growth Plan’ and strategy for the future based on Five Growth Pillars. 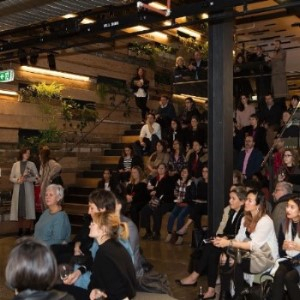 Of particular interest was the launch of ‘The State of Fashion 2018’ research report which discusses the key trends for the global fashion industry in 2018, and how the Australian industry is performing. Click here to read ‘The State of Fashion 2018’, and to learn more about the AFC’s Five Growth Pillars.